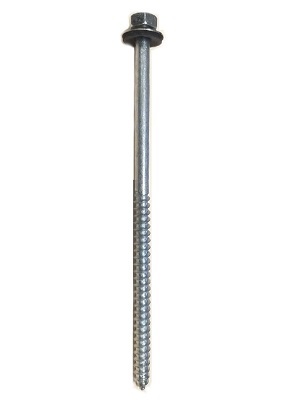 APPLICATIONS: Stainless steel self tapping fasteners are designed for attaching metal to metal and metal to wood. Sizes over 4" are not fully threaded. CONSTRUCTION: #14, Type-A Sharp Point, Self Tapping, 304 Stainless Steel AND zinc plated for extreme environments. Available Painted as option. INSTALLATION: 0 – 600 rpm screwdriver equipped with depth sensing nosepiece is recommended.